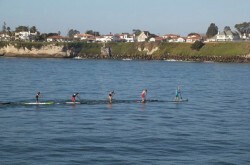 Slater Trout and Candice Appleby won yesterday’s Surf & Sand Duel SUP Race in Santa Cruz, which was part of the 2013 Surftech Shootout @ The Lane. Chuck Glynn was impressive, taking the runner-up spot right behind Trout, with Matt Becker 3rd and Anthony Vela 4th. Young Brit Oliphant was also paddling well over in the women’s race, claiming second ahead of Morgan Hoesterey. Full results below. 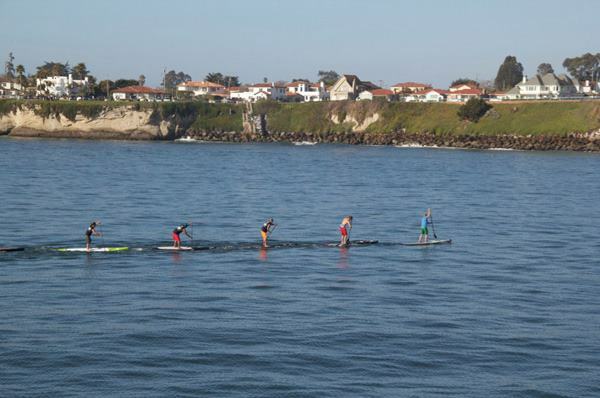 Don’t forget to check out the Surftech Shootout SUP Race video as well (you can relive the entire race… yep, all 90 minutes of it).